We’re finding the Wurst that Iowa has to offer and Roehrkasse Meat Locker had the goods on it here in Williamsburg. Many folks stop in this town everyday, but don’t go past the huge outlet mall, restaurants, and convenience stores just off the exit. Those are all great reasons to make a stop, but there’s plenty of more to experience just a few miles down the road. Our road trip motors into another great family-owned locker and here’s what we took home! Breakfast is the most important meal of the day, which is why we have it for dinner too! Roehrkasse’s meat cases were filled and they were busy packaging tons of their own jerky when we showed up. Always a great reason to stop here in itself. We couldn’t resist their thick breakfast sausage filled with cheese and hash browns. We griddled them up with double the fried eggs and loaded them all up in an everything bagel with plenty of cream cheese. Summer sausage is great when sliced or eaten like an apple. I won’t judge so do what you want. Summer sausage season is my favorite season! Because its great anytime and these folks in Williamsburg have some of the best we’ve ever had and that’s no joke, folks. We made what we call Summer Sausage Sliders. Skip the crackers and use some soft Naan bread. I prefer horseradish on mine with a proper kick in every bite. You were looking for an excuse to use those wooden skewers and now you have one! You gotta like the person who brings the chips and queso to the party. You gotta LOVE the one who brings the sausage and queso! Roehrkasse’s Smoked Pork Sausage loves a good dip in hot and spicy bowl of cheese. Then again, don’t we all. Twice baked potatoes now have a new best friend. The person who came up with twice baked potatoes was a genius and adding Roehrkasse’s Frankfurters puts these classics in a whole new dimension. We went traditional with sour cream, butter, shredded cheese, bacon, green onion, and dill in the filling. We then smushed some of those juicy Frankfurters on the tops and baked them off. Now, that’s what I call a side dish…..Or thanks the the local Williamsburg locker, a main dish! These experts have the time for great customer service and it shows up with everything we brought home from Roehrkasse Meat Locker. We’ll see if they get our Wurst Award in December! Be sure to read about the other communities contending in Iowa’s Wurst Road Trip! 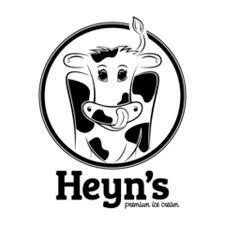 Premium Ice Cream in Iowa City and North Liberty!